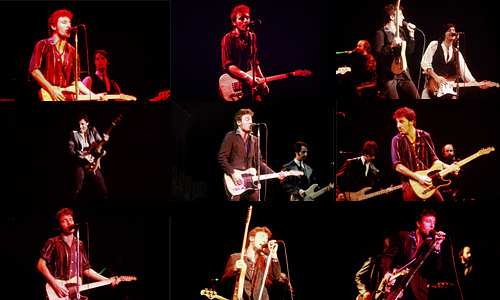 All Bruce Springsteen items listed below are authentic and very limited. We do not carry multiple items. All prices and availability are subject to change. All prices include shipping and handling for all USA customers. All other destinations will require actual shipping cost to complete transaction. Have a question? Ask us before purchasing the item. Thank You. Description: Clarence Clemons Signed 4x5 Paper. Personalized to Annette. 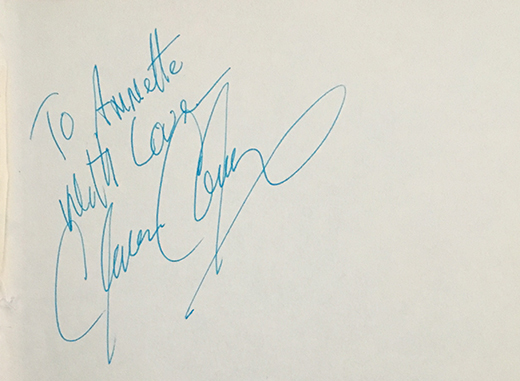 Note: Item signed at the Star Party 1989 Starplex Amphiteater in Dallas, TX. 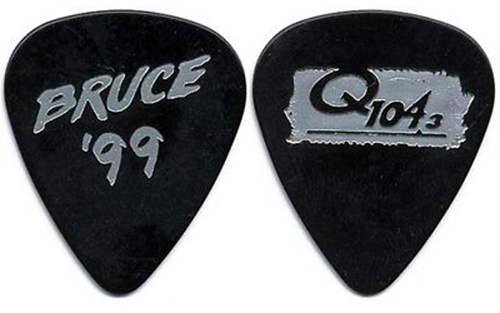 Description: Bruce Springsteen 1999 Guitar Pick Q104 Radio Promo. 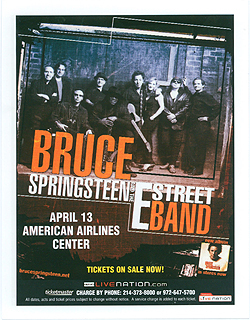 Description: 3x5 Bruce Springsteen 2008 concert handbill. 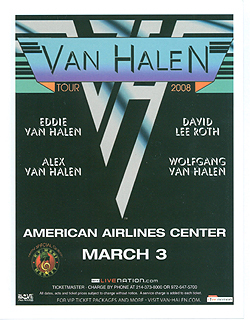 This is a double-sided handbill with Van Halen 2008 Tour handbill. 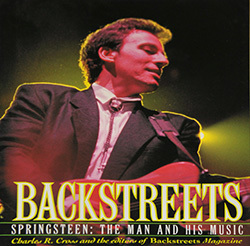 Description: Bruce Springsteen Backstreets Magazine. 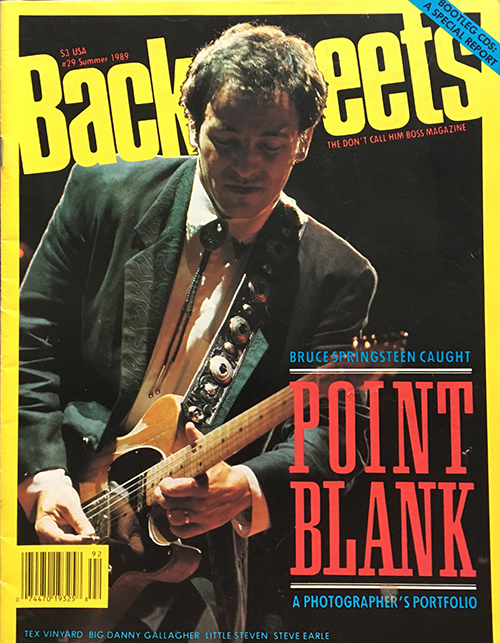 Description: Bruce Springsteen Backstreets Magazine Fall 1989. 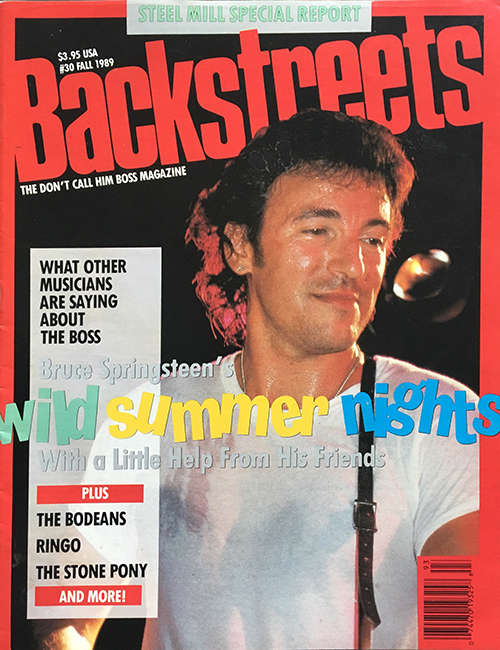 Description: Bruce Springsteen Backstreets Magazine Summer 1989. Size 2x7 full color ticket.